Bacalhau: Portuguese or Norwegian? let's find out and taste it ! You must be a member of the Wrocław Portuguese Culture Group to attend this activity. Would you like to join this group? 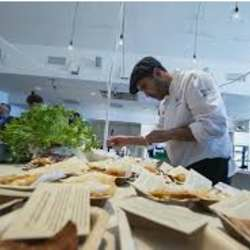 The idea of the event it´s to try the codfish "bacalhau", the fable of the cod and the promised sea. At the same time it´s a way to know about the Portuguese traditions of codfish "bacalhau".